Yash is leaving tomorrow & he will be out for 20 days......Oh God...............I just hope I don't get vertigo attack as well! I am not going to dwell on my pains & aches now,it will just make them worse! On the brighter side,I have revised my pdf pattern & pretty happy with how it has turned out.Earlier I had not incluses pattern pieces as I felt it is very simple but then not everybody is comfy cutting curves so I have introduced full size printable patterns . 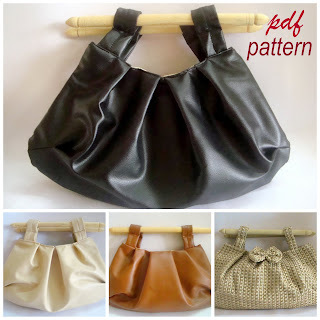 Now my pdf includes pattern pieces & instructions for 2 sizes regular & mini. I have also added 3 types of pleats with instruction. This is on sale now .You can buy it from here.